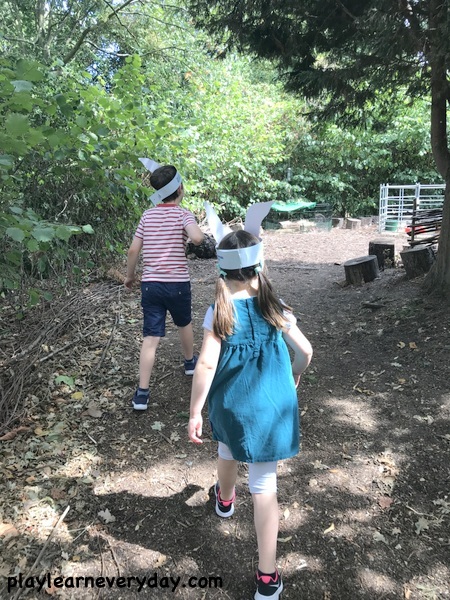 We were invited to a very special Peter Rabbit Party over the weekend, to celebrate the release of the new Peter Rabbit Movie on DVD as well as Beatrix Potter's birthday! The party was hosted by Sony Pictures Home Entertainment and Cine Mini Film Club and took place at The LookOut in Hyde Park. 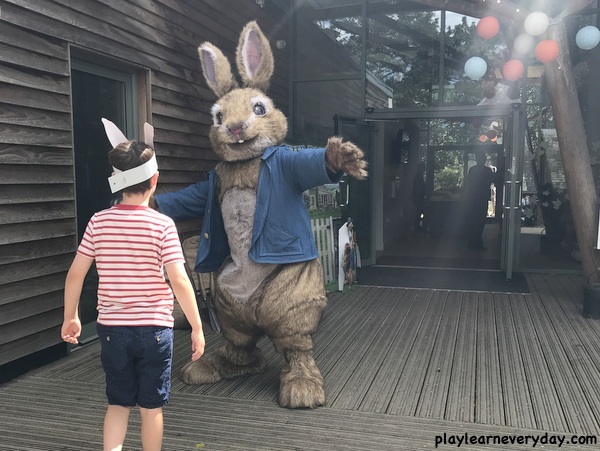 We were so excited to arrive, be handed our Peter Rabbit ears and then meet the main bunny himself! Ethan bravely ran up for a hug, but Ivy needed a bit more convincing. She did not need convincing, however, to rush off to join in with the activities! Our first stop was to meet the animals! There were bunnies, goats, ducklings a hedgehog and guinea pigs! 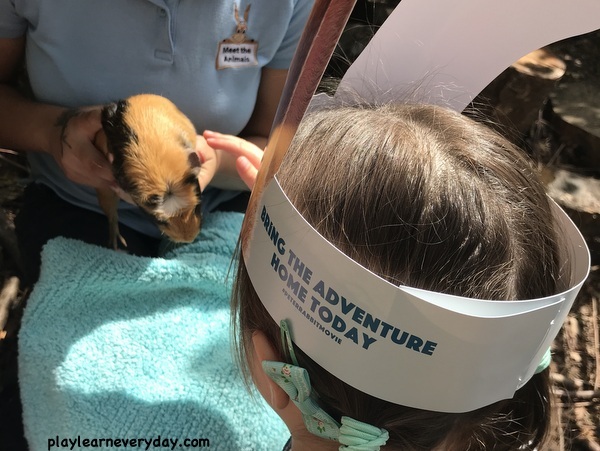 Many of the animals were a bit hot and tired, but we did get to meet this very sweet little guinea pig and give him a pat. 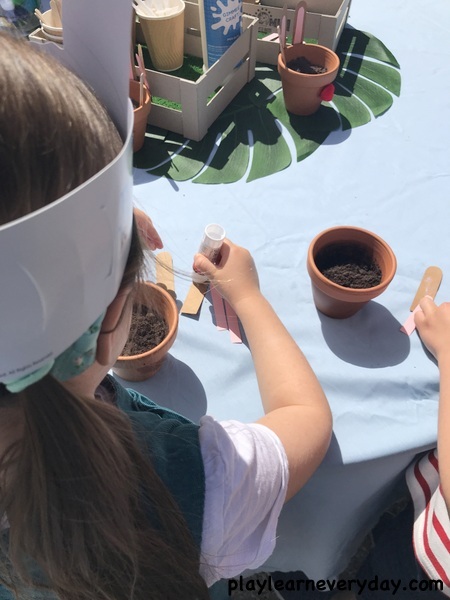 Next we planted some sunflower seeds and decorated the plant pots with bunny ears and a fluffy tail. 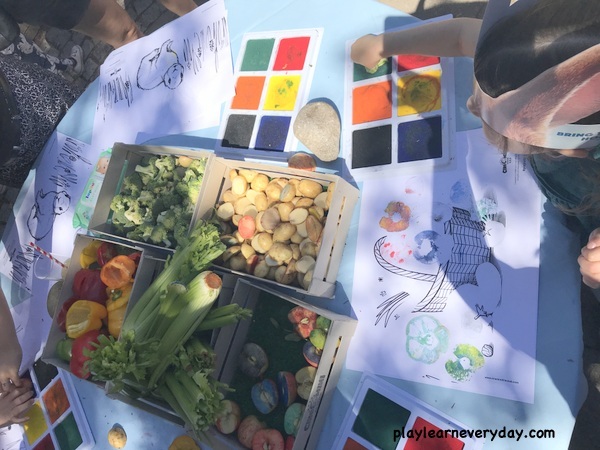 But the kids' favourite activity by far was the fruit and vegetable printing! This is something that we've done at home in the past (we cut heart shapes into potatoes for Valentine's Day stamping and did some apple printing on cards for the teachers) but we've never just had a load of fruit and veg to choose from and a picture to complete. 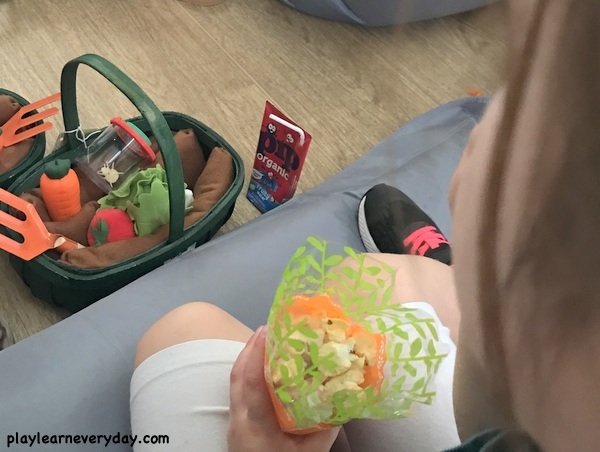 It's a fantastic idea and kept the kids busy for ages! 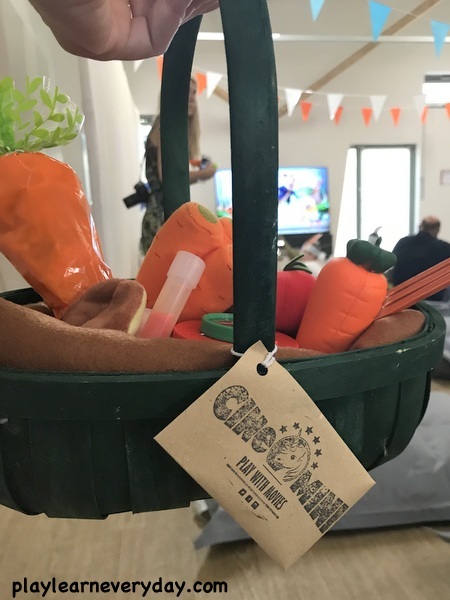 Why not buy the Peter Rabbit movie on DVD and hold your own Peter Rabbit Party with themed snacks and activities to go along with it? Such a fun way to spend a day over the summer break from school!